My wish is that they take advantage of DLC to add all the characters they cut, with maybe even a few as skins like Pichu and Dr. Mario. Considering they didn't do this for Brawl, I doubt they'll do it here. As a huge Lucas fan (and fan of Mother 3), its sad to see so many people listing him as a clone. I feel he plays very differently in brawl than Ness. Other than Zelda, I think he was my favorite character in the game. Though I had a blast playing as him, the reason I would see him being cut is not because of him being a close (or being from the same series as Ness), but because his game is getting more and more obscure. A lot of the music from his stage was really epic I thought. Oh well, if they keep Mr. Game and Watch and Zelda I'll be happy. Though I loved Toon Link too. I personally think it would be strange if they cut Toon Link though, since we have the Wind Waker HD coming out. Spirit Tracks Link and Wind Waker Link are different people I thought, but oh well. BTW, I'm all for DLC if they cut some of my favorite characters. 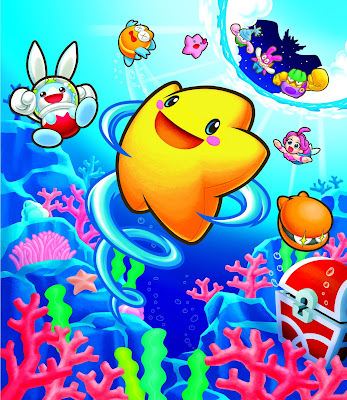 So is anybody rooting for Starfy? Hopefully they squeeze him in the roster! They also need to ditch Snake, Lucas, Roy, Wolf and maybe Toon Link....Time to make some more room for quality characters rather than uneeded clones. I loved that game! I actually think he may be in SSB4 because of him and starly being assist trophies in Brawl. I doubt he'll make it and I would not like him as a character. I agree on DLC for cut characters that is free. I also hope they add new characters for a small price. Metaknight has almost no chance of being cut since he has a huge following (not me) and Sakurai created Kirby (and therefore Metaknight) and Sakurai makes Smash Bros. I don't look at Lucas as a clone. I look at him as a secondary representative of his franchise, which I think the secondary characters are in most danger of being cut. I want the Ice Climbers to stay. Any Melee veterans deserve to stay in my opinion. Although it does seem weird having them in the game with their franchise being so sparse. Then again, the same could be said these days of Fox and Captain Falcon. They aren't going anywhere though, luckily. I have a feeling this will happen, since when the game comes out some of the cut characters will be wanted back. Probably won't be for a while after the initial release, but at least we know that it's possible for extra characters to be added down the road. No! Not Sonic, he's good. It may be a sad truth.... LOL, it's fine of he goes away though he is one my favorites. 3DS Fire Emblem stage? I'm thinking Krohm will be announced eventually. I highly doubt Sonic will go with the exclusive deal Nintendo and Sega have at the moment. But Snake, I'm fairly certain he'll be gone. Maybe if they randomly released the Metal Gear Solid HD collection on Wii U he might stay, but I highly doubt that would happen. Or 5/Ground Zeroes, but that's even less likely. I could do without Snake honestly. He was pretty cool at times, but i feel like he fits less on a Nintendo game at this point in time than Sonic does. Probably won't happen, but I'm thinking Paper Mario would be a good fit for SSB4. With his hammer, partners from the first two games, pixls from Super, and his sticker abilities from Sticker Star, I think he could have a very unique moveset. King Rool: Though that's very unlikely! Nintendo seems to hate the Kremlins! Wolf should be retooled, because he is just a Fox clone! Damn that stage looks cool as hell. Remember Pictochat from Brawl? 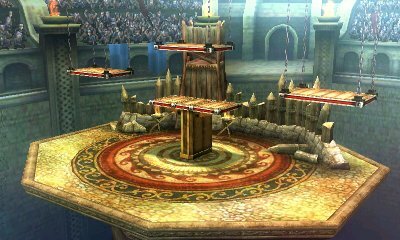 There should be a Miiverse stage on the Wii U Smash Bros. game and a Swapnote/ Nintendo Letter Box stage for the 3DS one. Yeah. I can see one for Letter Box happening, working a bit like Pictochat. And one of the music selections can be a remix between the 3DS and Wii U eShop themes.